It seems like an eternity since Corey Heim made his ARCA Menards Series debut at Five Flags (Fla.) Speedway last month – but the wait is nearly over, and Heim will soon saddle in his Chad Bryant Racing prepared Ford Fusion hoping for a stellar performance in his Salem (Ind.) Speedway debut in Sunday afternoon’s Kentuckiana Ford Dealers ARCA 200 on April 14. Feeling adequately prepared and schooled about the high-banks of the historic Southern Indiana short track, Heim knows that his No. 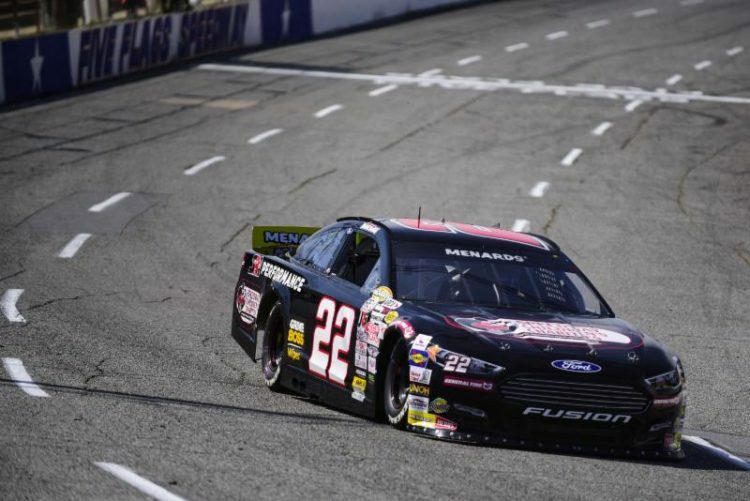 22 Speedway Children’s Charities Ford Fusion should be capable of catching the checkered flag in the third ARCA race of the season. Heim recently participated in a private test session at the 0.5-mile oval where Heim spent the day getting up to speed while also working with championship crew chief Paul Andrews on the handling of his Ford Fusion – all knowing that Heim has to be prepared for short and long runs on Sunday. Hoping to use some of the same principles that propelled him to a fifth-place finish in his ARCA debut at Five Flags, Heim wants to use some of that same mentality on Sunday – but knows that the pace will be fast on Sunday – and that opens up the door for things to change in a hurry. Car owner Chad Bryant said he was impressed with Heim’s debut and while he showcases a quiet and calm demeanor – that persona proves to be an impressive tactic on the race track. “Corey flies under the radar and I think he prefers it that way,” added Bryant. “He lets his results speak for himself. He had an exceptional showing in his ARCA debut at Five Flags and I don’t expect any different at Salem this weekend. Despite not competing in the season-opening race at Daytona (Fla.) International Speedway, after two ARCA Menards Series races this season, Heim occupies 11th in the championship standings with 18 races remaining in 2019.
n Corey Heim, please like him on Facebook (Corey Heim Racing) and follow him on Instagram (@corey.heim) and Twitter (@coreyheim3).